Rebuilt Truck Differential Store - Buy Rebuilt/Remanufactured Truck Differentials Wholesale. Truck Differential Co. provides superior quality Rebuilt Truck Differentials, remanufactured truck differentials, transfer cases and repair products to owner operators and transportation industry professionals. We stock all rebuilt truck differential models and can re-manufacture any truck differential from any manufacturer. We pick up and deliver and can rebuild your differential for you or replace it today with a professionally rebuilt exchange differential today. All rebuilt units go through a rigorous tear-down, inspection, tank cleaning and re-inspection process that looks at each individual part in the assembly and examines it for flaws, wear indicators and stress. Every gear is carefully examined and if worn or damaged is replaced with genuine OEM replacement parts. Any other items showing any sign of ware are replaced with a new part. All synchronizers, bearings, seals, gaskets, hoses and valves are replaced. Then each unit is reassembled, bench tested, dyno tested and verified to factory specifications in our remanufacturing facilities across the USA. New and Used Truck Drivetrain Parts. Our distribution and repair service partner network throughout the USA is continuing to grow. Currently, we have distribution in Michigan, Iowa, North Carolina, Florida, New York, Texas, California, Nevada, Arkansas, Illinois, Oklahoma, Georgia, Mississippi, Indiana and Colorado with additional parts distribution points all across North America and repair center partners in all states. Our centralized ordering system makes it easy for you to get the rebuilt truck differential model you need without having to deal with multiple people. Just one call to our truck drivetrain experts with your unit data tag number off the side of your truck differential and we will make sure you get the model you need, where you need it and fast. All of our rebuilt truck differentials come with an unlimited mileage warranty for 1 Year that is valid throughout the United States, Canada and around the World. 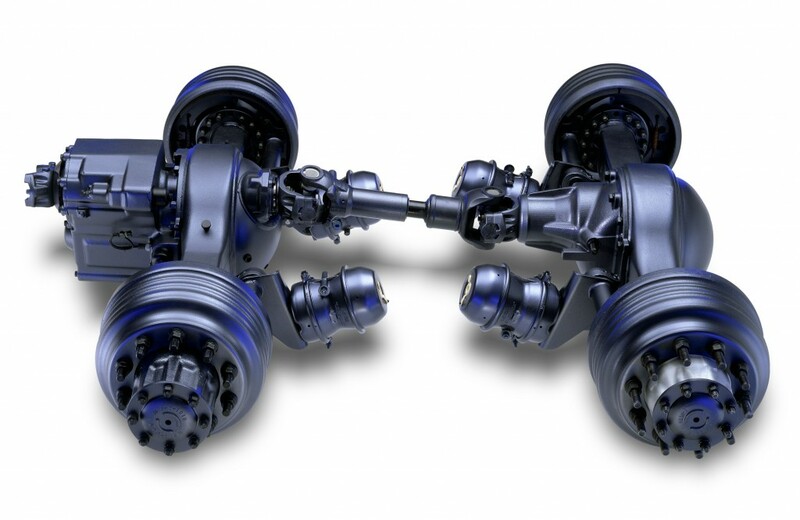 Truck Differential Co.’s rebuilt truck differentials and parts save you money in three ways. First, we minimize downtime with our vast stock of ready to install rebuilt truck differential exchange units stationed all over the US for fast delivery to your shop or repair facility of choice. Secondly, you are assured outstanding reliability with the confidence that comes from knowing that every hidden wear and stress part has been replaced with Genuine OEM parts. Thirdly, in the unlikely event of a warranty issue, it will be handled quickly no matter where you are through our centralized ordering system and partnering repair facilities and local inventories of rebuilt truck differentials, differentials, transfer cases and parts. Rebuilt, new and used truck differentials truck differentials, transfer cases, PTO’s and parts. By remanufacturing all makes and models we are uniquely positioned to help customers all over the world meet their expectations for fast reliable delivery and availability from their rebuilt truck differential and parts supplier.